The Fixed Installation Tipper (FIT) is custom designed for facilities that need the efficiency of a tipper in a fixed location. 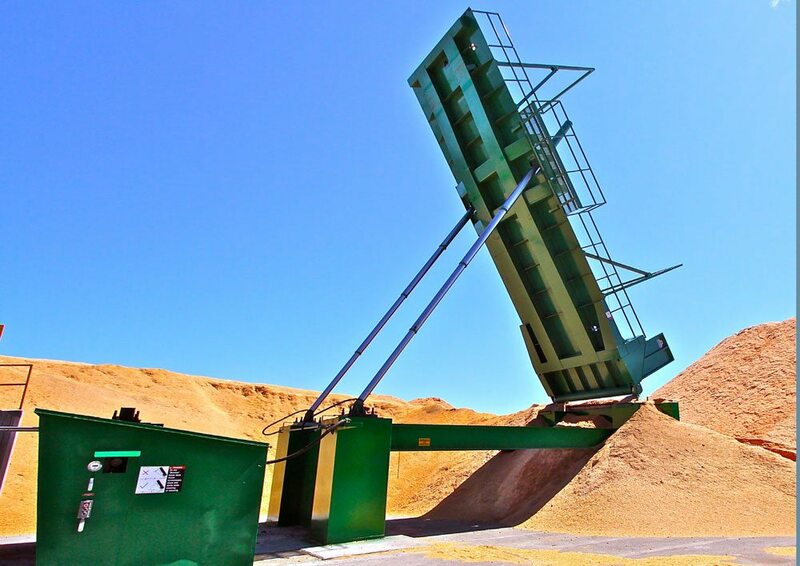 Fixed Installation Tippers can accommodate dumping into receiving hoppers, onto conveyor systems, into buildings, and directly to tipping floors. Columbia works directly with our customer's civil engineers to develop a layout and embed plan that is tailored to the facility. Fixed position operation requires a foundation for mounting; ideal for dumping into hoppers, buildings, and a variety of other applications. Our tippers average 2 cubic yards more capacity per load, offering increased long-term profitability. Constructed of welded A-36 steel, and custom built to lengths that meet your individual needs. Hydraulic power units built to operate all tipper functions; equipped with 75 HP 480V, three-phase electric motor. For additional available options, contact Columbia for a quote and a complete list of available products.